Is designing a custom home theater a part of your interior remodeling plans in Northern Virginia? 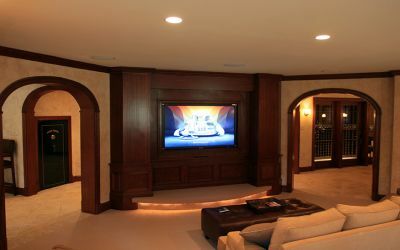 Whether your home theater is to be designed in a remodeled room or spans an entire basement, Berriz Design Build Group will maximize its space, sound, and style. Casual home theaters – If your home theater is mostly for fun family nights, you may want to keep things casual. A soft, comfy sofa, plush carpet, and lots of floor pillows or beanbag chairs will create a cozy space room for the kids to spread out. Home theater/living room combinations – You can trick out your living room with theater elements to give it a second life as a home theater. A big screen can stay out on display or be hidden in a deluxe cabinet. Speakers can be discreetly housed around the room in built-in shelving, or installed directly into the walls. Authentic cinema-style home theaters – For true cinephiles, nothing less than a grand home theater with true movie theater seating and acoustics will do. A luxury home theater will include plush, reclining seats in leather or crushed velvet. An expertly-designed lighting concept, along with deluxe acoustics and optimum visual quality, makes the authentic home theater complete. A home theater is a substantial investment in interior remodeling, with details that need careful attention to ensure lasting enjoyment and quality. 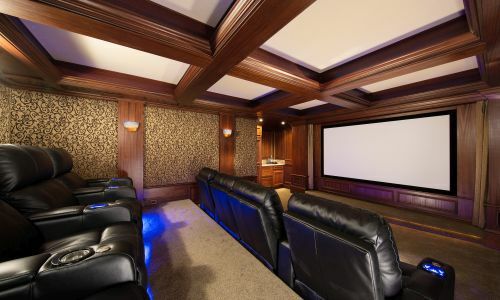 When you hire Berriz Design to build a home theater in your home, you get a full-service experience with every element taken care of by our team. You won’t need to seek out an electrician or sound designer, or any other specialty contractor. 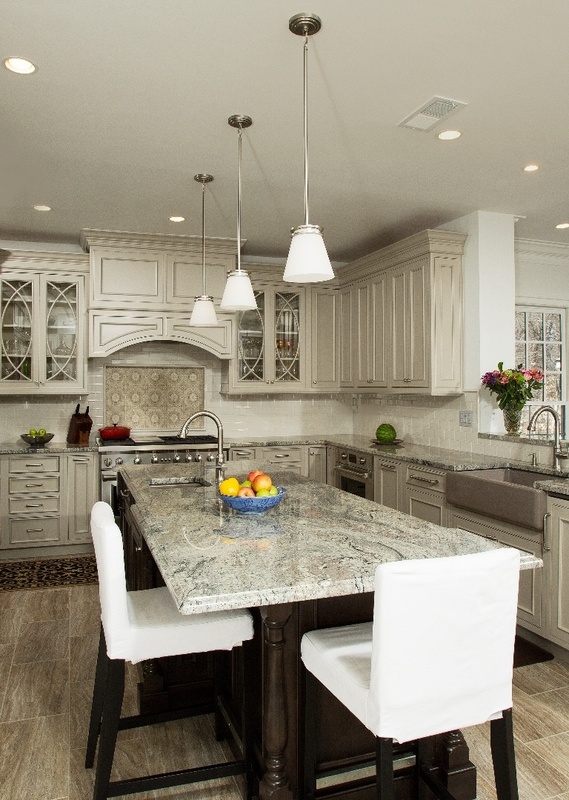 Berriz Design pulls together every aspect of the job, with your input. Experience how fine the good life looks at your home today! 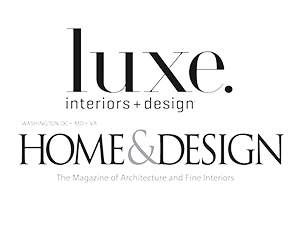 If you are looking for Custom Home Theaters expert in Northern Virginia, please call Berriz Design Build Group at 703-552-7565 or complete our online request form.